A new study has revealed that 97% of the 193 United Nations (UN) member States have a presence on Twitter, with the South African government’s Twitter page the fourth most active on the African continent. 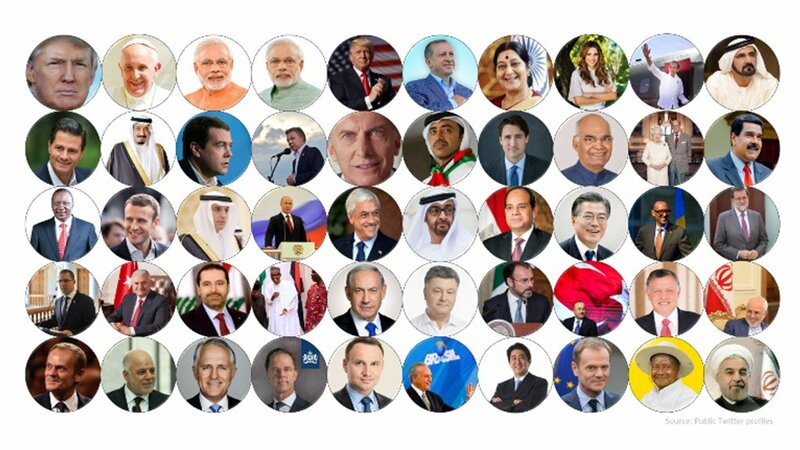 Global communications agency Burson Cohn & Wolfe (BCW) released its yearly Twiplomacy Study about the most followed “World Leaders on Twitter” by analysing the activity of 951 Twitter accounts of heads of State and government and foreign ministers from May 19, 2017 to May 18, 2018 using aggregate data from Crowdtangle.com. The study revealed that US President Donald Trump took the top spot of most followed leader with 52-million followers on his @realDonaldTrump account. Pope Francis (@Pontifex) is the second most followed world leader with more than 47-million followers on his nine language accounts and Indian Prime Minister Narendra Modi (@NarendraModi) takes the third and fourth spots, with 42-million followers on his personal account and 26-million followers on his institutional account, @PMOIndia. BCW chief innovation officer Chad Latz said that social media has become a primary conduit of diplomacy that has gone from being an afterthought to the very first thought of world leaders and governments. “Beyond communicating their own agendas and policy decisions, it is interesting to see how they [world governments] use Twitter to establish relations or challenge each other on full display to the social web,” said Latz. Meanwhile, Laos, Mauritania, Nicaragua, North Korea, Swaziland and Turkmenistan did not have an official presence on Twitter. Closer to home, Kenya’s Uhuru Kenyatta (@UKenyatta) is sub-Saharan Africa’s most followed leader with 3-million followers, while Rwanda’s Paul Kagame (@PaulKagame) and Nigerian President Muhammadu Buhari (@MBuhari) each have more than 1-million followers. The study also revealed that 42 heads of State and government have opted to receive Twitter Direct Messages from anyone. This includes South African President Cyril Ramaphosa, who has a ‘Message’-button on his profile. Meanwhile, Kagame is the most conversational world leader with 85% of his tweets being @replies to other Twitter users. The Twiplomacy study also reveals that Facebook was the second-most popular network among government leaders, and it is where they have the biggest audience. Instagram has become the third-most popular social network for governments, with 81% of all UN member States having set up an account and many of them sharing daily Instagram stories.